The 2016 Laureate of the Arenberg-Coimbra Group Prize for Erasmus Students has been selected by the selection committee established by the Executive Board. The 2016 Laureate is Ms Ting-jung Chen from Taipei, who undertook her Erasmus Mundus Master’s Programme at the University of Göttingen. The selection committee established by the Executive Board for the 2016 Arenberg-Coimbra Group Prize for Erasmus Students is pleased to unanimously nominate Ms Ting-jung Chen from the University of Göttingen (Germany) for this year’s award. Ms Ting-jung Chen spent her 5-month Erasmus exchange as part of her Erasmus Mundus Euroculture Master programme at the University of Uppsala in the academic year 2013-2014. Ms Ting-jung Chen has shown that the value of the Erasmus experience is particularly significant for non-European students. The opportunities created by the European Higher Education Area and more specifically by the Erasmus Mundus master programmes allow non-European students to develop their research interests in European subjects and contribute to the dissemination of a culture of diversity, discussion and creativity. Originating in Taiwan and having majored in Slavic Languages and Literatures, along with Diplomacy, Ms Ting-jung Chen desired to develop her research interests in Europe. After a stay in Saint Petersburg she applied successfully to the Euroculture Erasmus Mundus Master programme in Göttingen. Her first semester in Germany consisted of a wide range of seminars and German classes, which through “elaborate discussions with contrasting ideologies … lay foundations for my upcoming semester in the north”. Uppsala brought “not only scents of ancient archives, but also atmosphere of creativity and vitality”. It is clear that the experience of diversity, creativity and discussion at the European universities shaped Ms Chen’s choices and perspectives: “My multicultural experiences are constant battles of reinventing conceptions and prescriptions, and hence inspire my approach of how to research potential conflicts in foreign policies”. It was in Uppsala that the idea of focusing on Europe-Russia relations for her thesis took shape. She was able to present her project to the EU Delegation in Sweden, as part of her course activities at the University of Uppsala. The ability to communicate in several languages (“Mandarin, English, French, German, Russian, and Polish”) gave Ms Chen an edge in pursuing her topic of research. A research period in Strasbourg complemented a transnational and multicultural trajectory that resulted in the final master thesis, successfully presented to the University of Göttingen: “Hostilities in Eyes of the Beholders? Foreign Policies of the European Union and the Russian Federation 2009 to 2014”. Ms Chen’s essay is an illuminating testimonial of the power of the Erasmus project to induce experiences that change the perception of Europe in young people, with enduring effects. In this particular case, the effect is amplified by Ms Chen’s non-European origin and the topic of choice. As the Laureate stated: “The thesis represents more than a designated obligation of a master degree, but an accumulated consequent of multicultural experiences”. Having successfully defended her thesis, Ms Chen is currently working as an intern at the EU Office in Taipei. 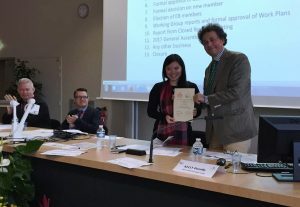 The Committee would like to congratulate Ms Ting-jung Chen on this year’s Arenberg-Coimbra Group Prize and wish her a successful career based on her European educational experience. We would also like to congratulate the other candidates, whose testimonials were additional excellent examples of the impact of their mobility experience and their academic qualities, as well as of the commitment to the Erasmus project of Coimbra Group Universities where they were awarded their degrees and undertook their exchange periods. The Arenberg-Coimbra Group Prize for Erasmus Students is awarded annually to a Master degree candidate of a Coimbra Group University, in any academic discipline, who, having previously undertaken an Erasmus exchange with another Coimbra Group University has in the opinion of the selection committee best demonstrated the added value of that exchange to their Master degree work. The Prize awarded is of the value of €5,000. Eligible candidates will have obtained their Master degree during the twelve months preceding the application submission deadline. Applications should be sent to the Coimbra Group representative of the candidate’s university (see list of representatives below) at the latest by 30 November 2015. The individual Coimbra Group Universities will forward their choice of candidate (a maximum of three candidates) to the Executive Board of the Coimbra Group by 31 January 2016. The decision of the selection committee to be established by the Executive Board will be communicated at the end of March or in early April 2016 on our website. Below you will find the Regulations governing the Prize, a list of contact persons at individual Coimbra Group Universities, and the template to accompany the applications. Left to right: Benjamin van Soldt, Duke Leopold of Arenberg, Vice-Rector Simone Buitendijk. 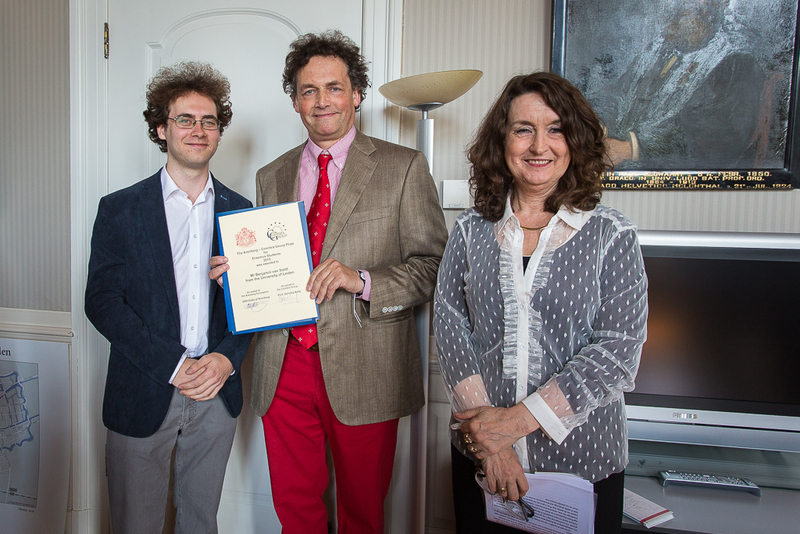 The Laureate, Benjamin van Soldt, received his certificate from the Duke of Arenberg. Benjamin van Soldt was accompanied at the ceremony by his Leiden professors and his parents. Professor Johnny Laursen and Office Director Inge Knudsen represented the Coimbra Group at the ceremony. This year there have been nineteen nominations from eight Coimbra Group Universities for the Arenberg-Coimbra Group Prize for Erasmus Students. The selection committee consisted of Professors Henri Luchian from Alexandru Ioan Cuza University of Iasi (chair), Zeynep Çiğdem Kayacan from Istanbul University and Christian Cormier from the University of Poitiers. The selection committee for the 2015 Arenberg-Coimbra Group Prize for Erasmus Students is pleased unanimously to nominate Benjamin van Soldt from the University of Leiden (The Netherlands) for this year’s award. Mr Benjamin van Soldt spent his Erasmus exchange visit as a final year Master student in Biology for 11 months during the academic year 2013-2014 at the University of Aarhus (Denmark). Of all the nominees, Mr Benjamin van Soldt made the most comprehensive and convincing case for the added value of the Erasmus experience. Mr Benjamin van Soldt identifies two stages of his Master studies: the first one in his home university, Leiden, and the second one in Aarhus. The option for a one-year Erasmus study visit at Aarhus University was part of a carefully designed research plan: after having studied developmental aspects of the snake lung and pulmonary arteries in Leiden, a physiological study was in order for gaining a new perspective on the topic. The best choice for working in a department of animal physiology was Aarhus University. Indeed, two leading scientists from the zoophysiology laboratory at Aarhus University, Professors Wang and Danielsen, provided Mr van Soldt with the opportunity to study in depth the pulmonary arteries of Pythons and to reach new and relevant results. The well-chosen title of the motivation letter also illustrates convincingly the added value of Mr Benjamin van Soldt’s Erasmus visit to Aarhus: “Evolution through Erasmus”. 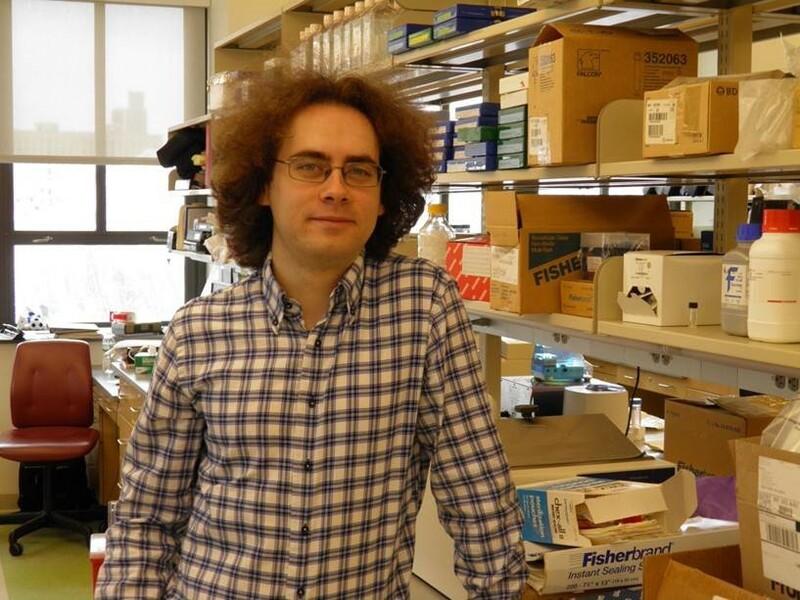 Mr Benjamin van Soldt’s convincing summary of the added value of his Erasmus visit emphasises his deeper understanding of cardiorespiratory evolution, identifying new research problems and working with top scientists. By the end of his Erasmus visit, Mr van Soldt gave an international conference presentation, co-authored with the two leading Danish scientists, on his above-mentioned research topic in Aarhus. 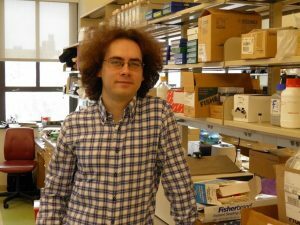 Mr Benjamin van Soldt pursues his research work at the Department of Genetics and Development, Columbia University Medical Center, New York, USA. The Committee would like to congratulate Mr Benjamin van Soldt on this year’s Arenberg-Coimbra Group Prize. We would further like to congratulate the other candidates, all of whom are excellent young international researchers in their fields, and worthy ambassadors of the Coimbra Group Universities where they were awarded their degrees and undertook their exchange periods.